Rewind to around 2005 – 2006, I had recently discovered the works of David Allen’s Getting Things Done, and I had started looking for more resources and found the likes of Merlin Mann and others. These people were telling me that it was possible to do all the things you want to do by keeping track of all the tasks and commitments in a simple, trusted system. Just like now, I was living mostly in a Microsoft ecosystem – I had a Windows Mobile Smartphone, I used Outlook & Exchange for my email and all my computers ran Windows. I read a book called ‘Take Back Your Life! Using Outlook to Get Organized & Stay Organized‘ which took many of the principles behind Getting Things Done and implemented them in Microsoft Outlook to help keep track of what’s important. Outlook Notes – sticky notes that could be used to make lists and capture ideas to be processed later, this was later superseded by OneNote for Windows Mobile – a separate download. Outlook was ideal for this, because it also synchronised using both Microsoft Exchange and ActiveSync – software that ran on your computer and would sync your Windows Mobile device when attached. As Windows Mobile was my mobile operating system of choice it included Tasks, Calendar, Email and Notes without any extra software. It was Outlook, in my pocket. Fast-forward to 2012 – 2013, and the importance of Outlook has diminished significantly. Not by my choice. 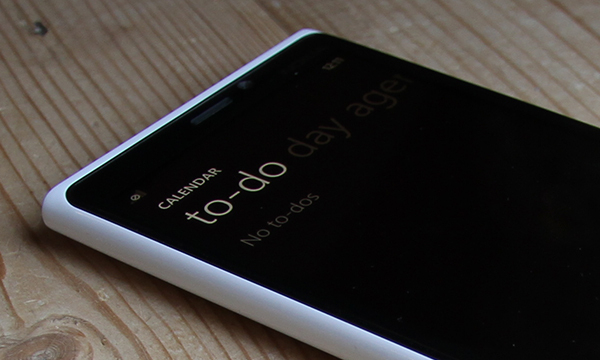 The support for Outlook or Exchange Tasks in Windows Phone is very low. In Windows RT the situation is even worse, there is no way of getting access to Exchange tasks without third party software, and no way to flag emails to follow up. If I can’t use it on all my computers, it’s not worth using the feature at all. These days I use a combination of other apps to follow up on actions – the Mail, Calendar, People, and Messaging applications allow me access to Exchange Mail and Calendar – but I manage notes and tasks through OneNote – which is fantastic for capturing but not so hot for reviewing, processing or planning. Over the years I have actually moved away from using purely digital capturing and planning tools, favouring paper notebooks in some cases. However, I feel that Microsoft has not done enough to keep the functionality that they used to have for task management, and that they’re missing a trick by letting the functionality fall behind. By focussing their smartphone and tablet efforts on consumer tasks and social networking, I believe they have lost a lot of the value they had by giving users ‘Outlook in their pocket’ – I hope they bring it back. I too have been rather annoyed with how Tasks as never been supported decently on mobile platforms over the years. It seems in this latest generation of Microsoft software that they’ve also given up on proper Calendaring too. Outlook 2013 does not have the ability to show an “agenda view” list for more than one day (except in the little-used Outlook Today, but only for 7 days). So you can’t see your agenda for the week or beyond. Outlook 2010 can (at least until it runs out of screen space in the To Do bar), Google Calendar can, and my ancient Android phones from 2008 can. Windows 8/RT also frequently reports all-day events as a day before they actually are happening (at least in the reminders, they show up fine on the calendar itself). Check out Notelook for Windows Phone. This is a great new app for reading and editing Exchange Notes on your Windows Phone. It is fast and secure, and available for WP8 and WP7. Hope you like it! Completely agree. I had a really slick flow with Outlook 2010 / Exchange ActiveSync, and a Blackberry Bold. Calendar, email, contacts, notes and yes, tasks all worked extremely well between Outlook and my Blackberry. I also followed David Allen’s GTD model. I have since had to give up my Bold. I’ve tried an iPhone, a new BB Q10, and now Windows Phone 8. None of them come close to the setup I had working before. Too many frills, not enough simple focus on making the essential features work well. For business people who need a reliable, simple, efficient set of tools, no-one is catering well. Ditto for me. Windows Phone is the weak link in my task system. I would love to use outlook tasks but the inability to sync those tasks in an organized way prevents me. Microsoft really needs to support its business users. I just wanted to chime in with my agreement on this topic. It’s very frustrating that I had a better setup with windows mobile 6 than the Windows Phone 7 and now Windows Phone 8 and 8.1. I keep hoping they’ll finally offer a more robust mobile version of outlook including tasks. It’s the first thing I always look for with every update only to be very disappointed. Another thing that I find equally annoying is the inability to do something as simple as add a biweekly event in the calendar. I don’t understand why I have to go to my PC in order to add these dates then sync it to my phone. 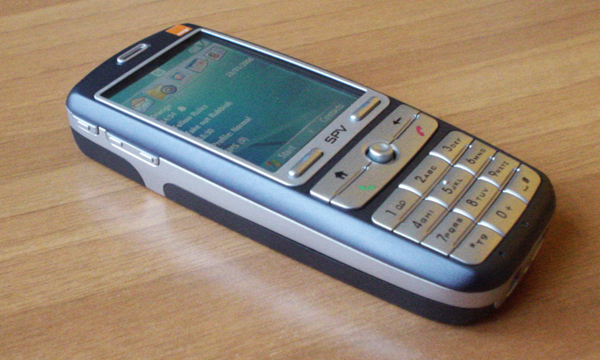 It seems to me that the calendar and tasks would be two of the most important functions on a smartphone which was supposed to replace my PDA and phone. I don’t understand how anyone can do anything business-like with one-note. If you can’t scgedule with tasks and a date-driven system, then you can’t manage your business. One-note is presumably fine for web-browsing snapshops and shopping lists – but its not a functional productivity tool. “Tasks at Last” is a good solution for exchange outlook tasks on windows mobile 8. This is why everybody has become “so busy” in the last few years. Everybody is loves their new apple phones, tablets, but they can’t get any real work done with them! Just my humble opinion. I ditto all of the above!! Totally agree. I used to have a great work-flow with Outlook 2007 / 2010, Exchange and Blackberry. I used Outlook for Email, Calendar, and also extensively used tasks for all my actions – I used categories for ‘GTD contexts’ and folders for separate lists – some task folders were shared with others in my company, and some were private. I used Outlook’s simple sticky notes for important stuff I needed to log / remember / track. This all synced beautifully with my Blackberry – and I could easily manage any of it either on the BB or on the PC. Now in the brave new world of 2015, Outlook’s task management is decaying. It doesn’t integrate properly with my Lumia Windows phone (no categories, no folders, poor sync, poor UI, poor search). I have also tried the Outlook.com tasks function – again, very feature crippled. And although OneNote is a much more powerful tool for notes, it is massively over-complicated, and poor for searching and simply tracking important data. I actually find it easier to use email now, and search for things I need, but this is not as good as the notes facility used to be. I agree that MS has left behind its loyal Enterprise business users in pursuit of the consumer and phone market. Maybe it had no choice, but it seems like a small amount of effort would have preserved some of these capabilities we valued.